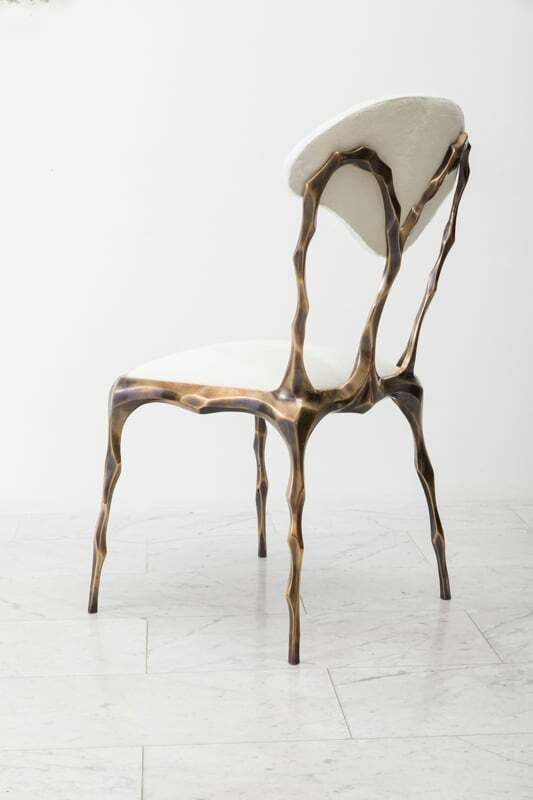 Taking inspiration from the twisting forms of seaweed and other natural materials, Haase hand-carves each element of his unique dining chair before casting it in his New York City studio. 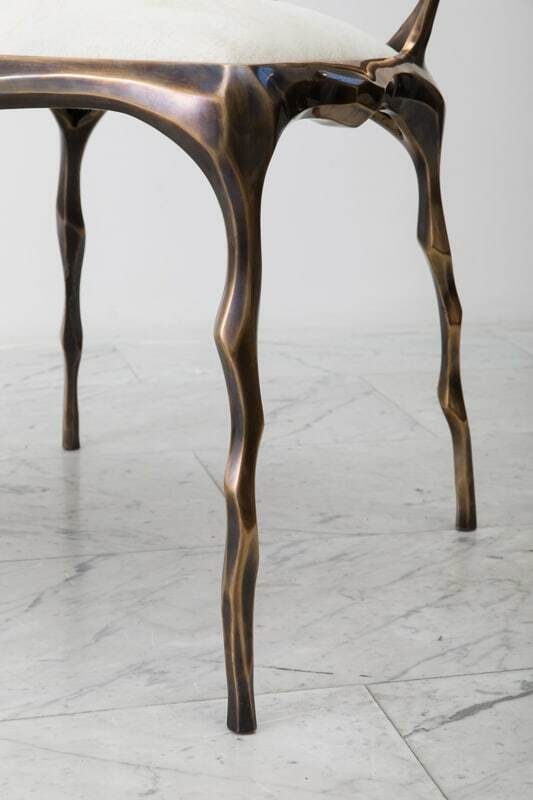 The bronze components are then welded together by the artist and polished with a hand rubbed patina finish. 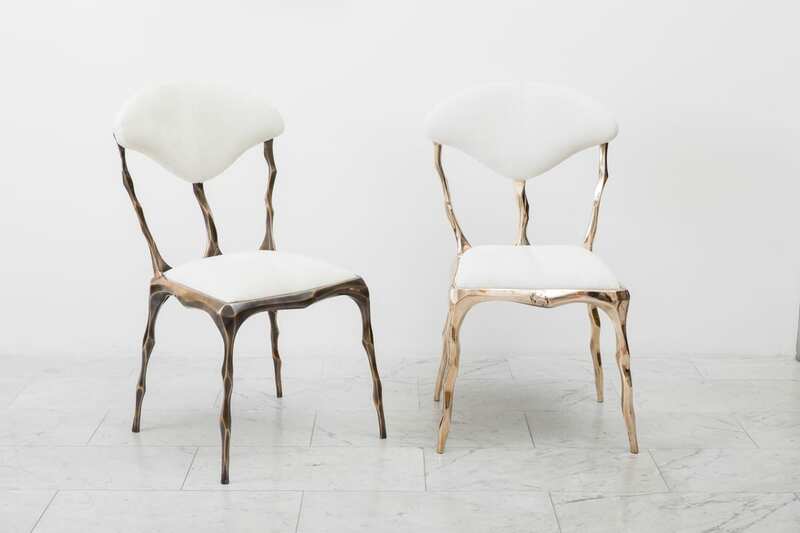 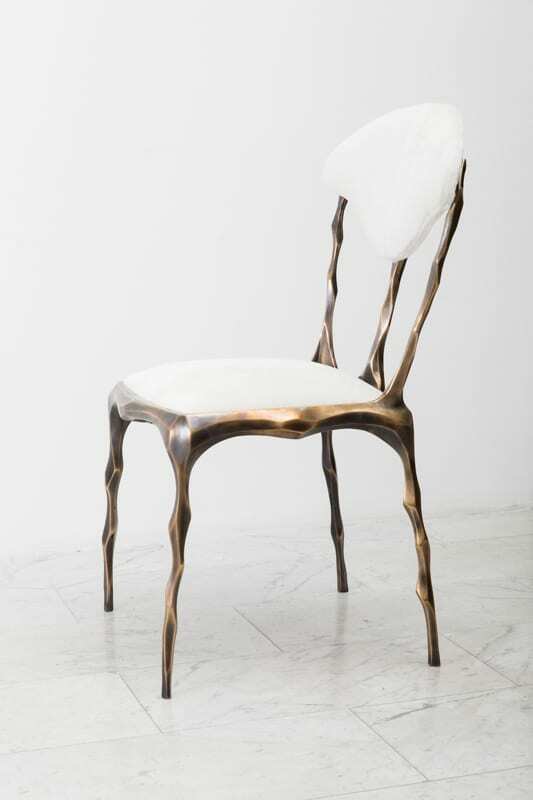 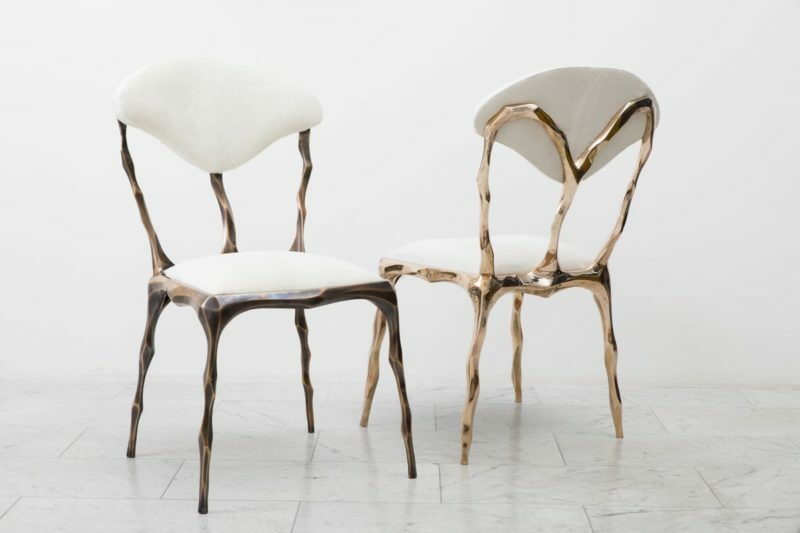 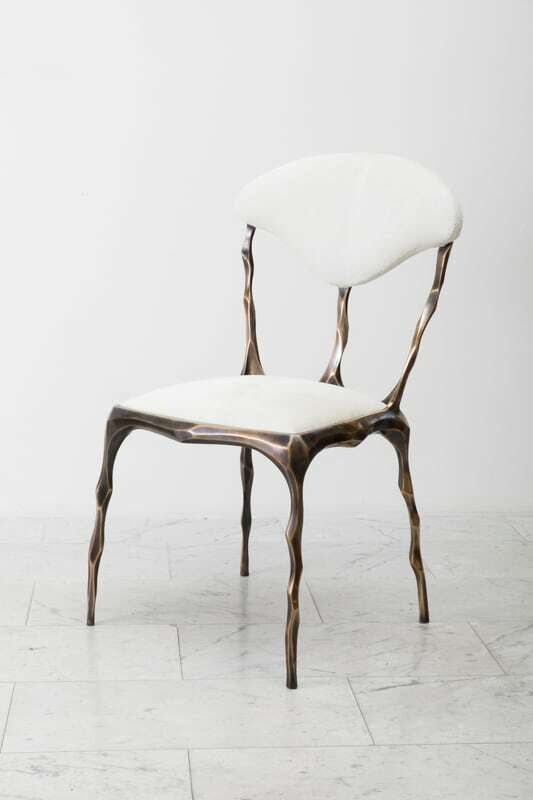 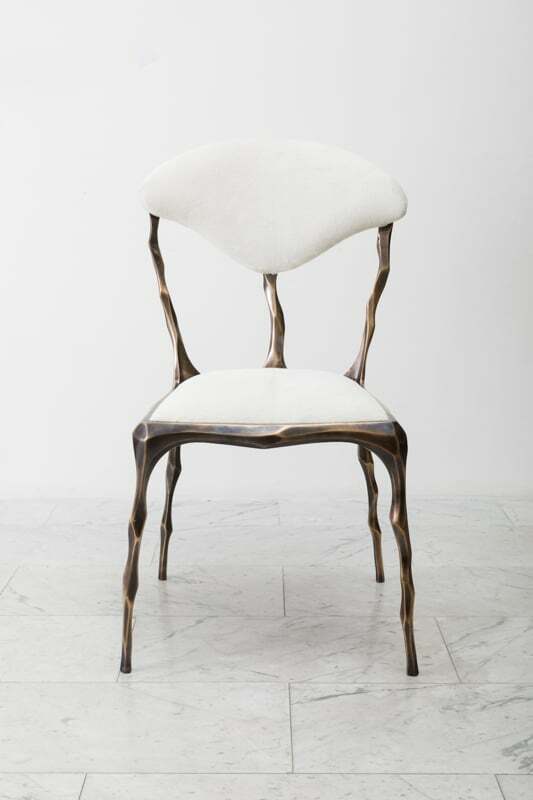 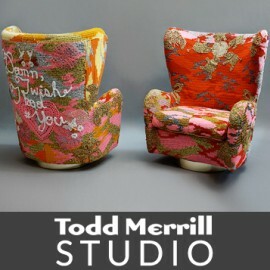 Shown upholstered in white pony hair, the chair can be upholstered in a variety of materials. 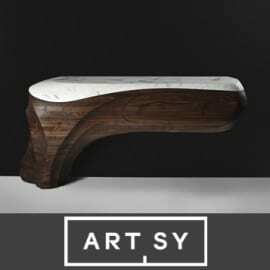 The back plate can also be created in hand carved wood.